The Government of Ethiopia is the latest African country to authorize cultivation of biotech crops by granting two landmark approvals for environmental release of Bt cotton and research trials on biotech maize. In a letter signed by the Minister for Environment, Forest and Climate Change H.E. Gamado Dale to the Ethiopian Institute of Agricultural Research (Applicant), the country will start with two Bt cotton hybrids: JKCH1050 and JKCH1947. 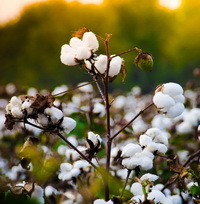 The release for Bt cotton is based on experts' analysis of the results from two-season confined field trials conducted under the supervision of the Biosafety Affairs Directorate of Ministry of Environment, Forest and Climate change and Biosafety technical working team drown from different institutions that have evaluated the final report submitted by the applicant. The Ethiopian government has identified cotton as a strategically important commodity crop to supply raw material for the rapidly growing textile sector and to generate thousands of jobs along the cotton sub-sector value chain. On maize, the research institute will commence confined field trials of an event with stacked traits for drought tolerance and insect resistance in partnership with the African Agricultural Technology Foundation. The research permit is for five years. Ethiopian researchers are also working closely with International Institute of Tropical Agriculture (IITA) on an enset bacterial wilt project, to develop resistant varieties through modern agricultural biotechnology. Enset, an Ethiopian banana also commonly known as the false banana, is a key food security crop. Enset can withstand long periods of drought, heavy rains, and flooding, which normally devastates other crops. However, bacterial wilt is devastating the crop, hence threatening food security for over 15 million people who depend on it as a staple food. Thirty years of research efforts by the national system to manage/control bacterial wilt of enset using conventional techniques could not succeed due to absence of resistant clones in the genetic base of the crop. For more on this and other biotech developments in Ethiopia, contact Mr. Assefa Gudina at bile.kela1@gmail.com.